The 27 days Saribung Peak Climbing journey, a newly explored but popular trek, encompasses the remote regions of Nepal Himalayas Jomsom, Mustang , Nar-Phu Valley and many other landmarks of Damodar Himal in the company of majestic mountain sceneries, diverse cultures, and geographical variations. 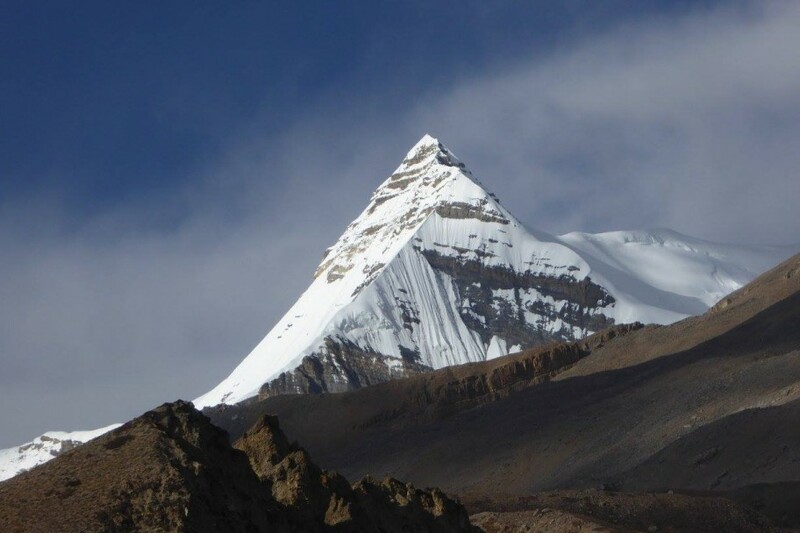 The Saribung Peak (6,387m) close to the border of Nepal and Tibet lies in Damodar Himal. 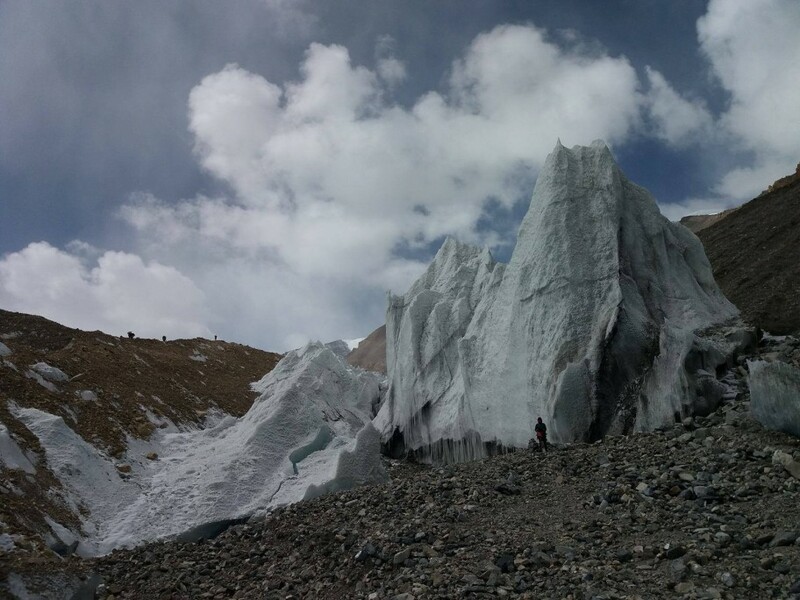 Though the peak climbing journey is very much pleasant and easy at times the climbers have to cross the high passes like Saribung La over 5,600 meters and many other. At some sections, the trail even passes through the off-the-beaten-tracks and thereby results into the summit of Mt. Saribung. In over all, the panoramic mountain vistas form the top of Mt. Saribung, journeying through the rugged landscapes, and encountering the very much primitive culture of the region bring you an everlasting adventure experience in your life. Drive or fly to Pokhara. Pokhara is situated on the side of Lake Fewa, it is a beautiful area with Fishtail mountain (Machhapuchhare) rising not far behind within the Annapurna range. Only 200km from Kathmandu it can take 6/8 hours by road depending on the season. This section of the trip leaves the Lo-Manthang village and within 4 hours’ journey we will be at Dhi Village. Then the trail descends down to a small stream from where the trail climbs up to reach at Yara Village. The journey will be accompanied by the sights of innumerable caves at the stone walls. This short part of the trip moves to the site of Luri Gompa. At Luri Gompa, we will visit at two monasteries. At first a short steep ascent brings us to Luri Cave Monastery (4,005m) – the oldest and most famous cave monastery in the Mustang region which was constructed in the 15th century. Inside the cave we can see a big Old Chhorten, a highly sacred religious text and many images and statues of Protectors and Deities. In the second place, we will visit at the other monastery which is situated below of Luri Cave Monastery. After discovering Luri Cave Monastery, the trail descends through the gorge to join the main trail Yara – Ghuma Thanti. It will be a fantastic walk from hilltop to hilltop through the pastures. At 4,780m, the mountain trekking route crosses a wide grassy plateau offering fabulous views of Mount Dhaulagiri. 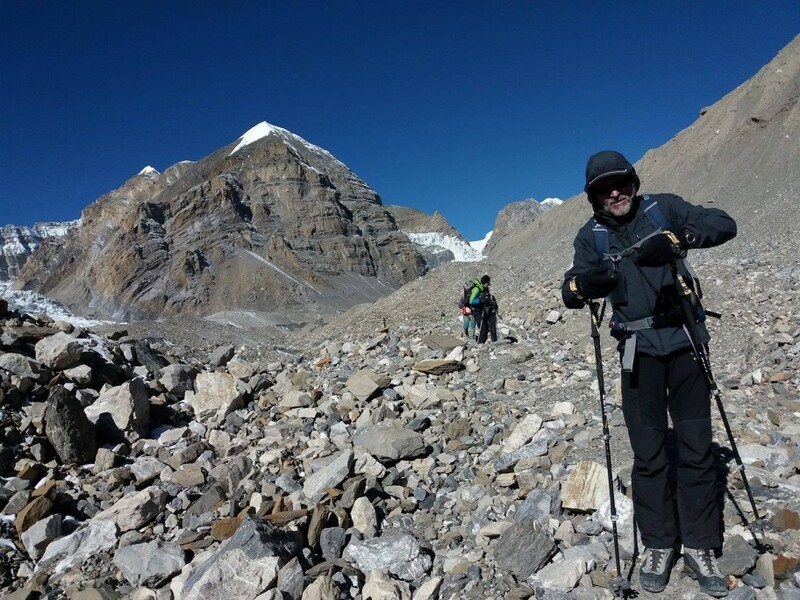 The trail continues climbing up to a pass (4,940m) and descends to Ghuma Thanti – a place built for sheltering the Buddhist pilgrims going to the sacred Damodar Kunda Lakes. At first the trail of the day reaches to a pass at 5,320 meters from where we can have tremendous views of the Dhaulagiri and the Annapurna I. Secondly, the trail makes a steep descent to the bottom of the Parche khola. Then in the third section, the trail climbs up a long steep slope. In the fourth place, the trail makes a long crossing from hilltop to hilltop till to reach a pass at 5,490 meter. The high pass on the trail offers us the clear views of Mt. Dhaulagiri and Damodar Himal. While moving ahead from the high pass, the trail brings the sacred site of Damodar Kunda. At this site we observe the sacred and pristine lakes situated in the yard of Damodar Himal. At the holy spit you can locate a small Hindu shrine and a very old Buddhist Chorten. After enjoying the must see attractions of Damodar Kunda, our journey moves forth towards Namta Khola. The mountain trail of the day passes through a high altitude route and the landscapes that resemble like the Tibetan Plateau until reaching at Saribung Base Camp. 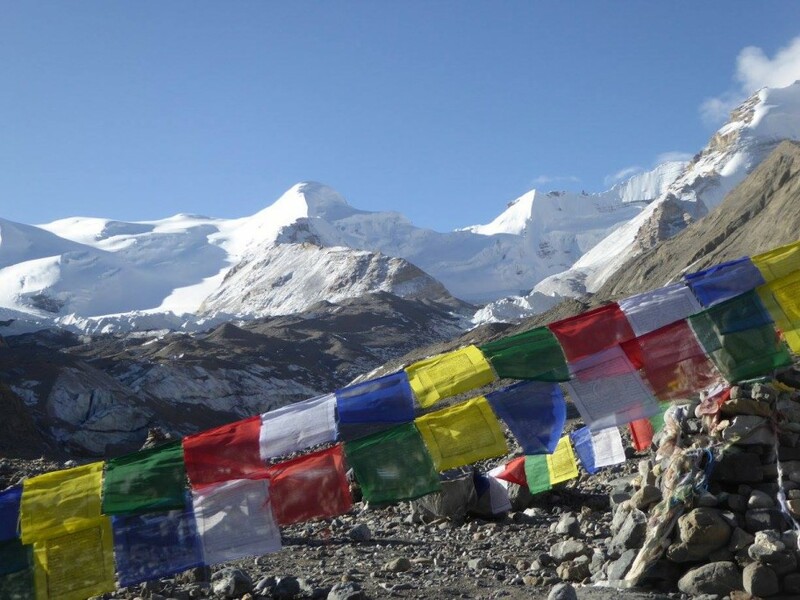 Enjoy the acclimatization day by exploring the surrounding hills of the Saribung Base Camp. The acclimatization day helps you prepare for the further climbing journey. This section of the mountain trails include walking on the moraines of en route glacier and hard snowy trail. The mountain trail journey will be accompanied by views of the Khumjunggar Himal (6,959m), and the Damodar Himal. It will be the day for reaching to the peak of Saribung – the ultimate and highest point of the trip. Early in the morning, the trek starts to climb the summit of Saribung and then the journey descends down to Saribung Base Camp. 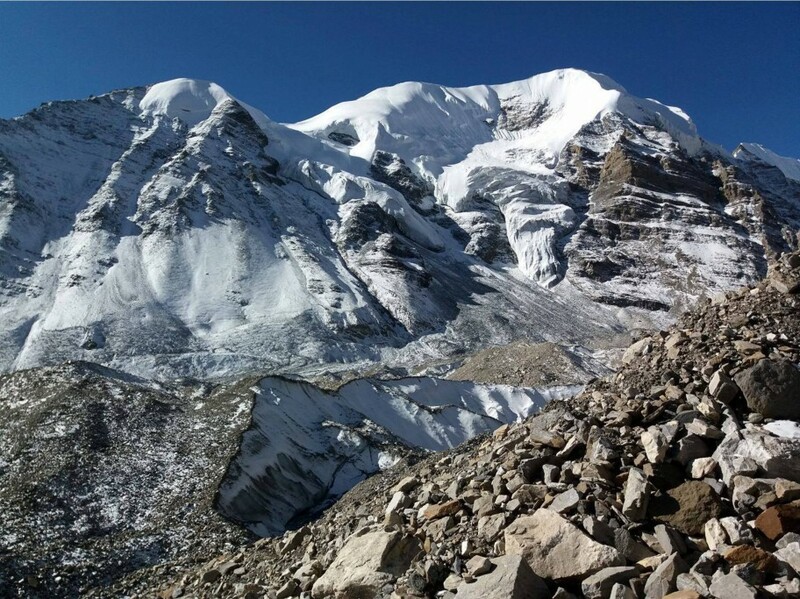 From the summit of Saribung we have outstanding scenery of Gyajikang, Himlung, Bhrikuti, etc. At first the morning trek leads us to cross the Saribung Pass and then the snowy trail steeply descends down till to reach a small stream on the trail. Next, the trail following through the stream connects us to Nagoru. 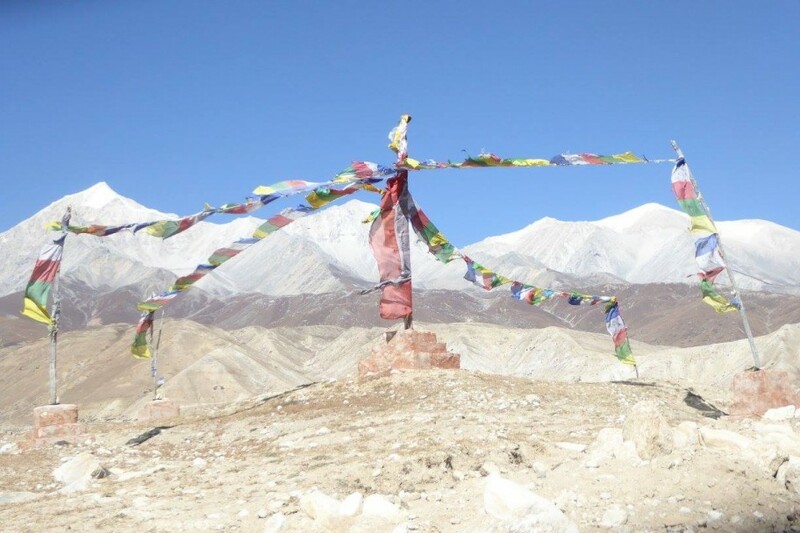 The journey from Nagoru passing through the Tibetan resembling plateau in the company of fine views of barren valley and snowy peaks reaches to Phu Gaon. This is the exact location where we will be in the midst of the unique Lost or Hidden Valley. In the valley we can explore the culture, natural diversity, and religious practices of the ethnic groups like Lama, Gurung and Ghale. Besides this, we can trace out how people make their survival depending on agriculture, animal breeding and seasonal migrations in such remote location or in the hidden valley. It will be also the day for exploring the Tashi Lakhang Monastery – the very old Buddhist Monastery listed out of the 108 world’s great Buddhist Monasteries; it is supposed to be the last monastery constructed by Karmapa Rinpoche. Apart from exploring the cultural avenues of the lost valley, the valley also offers us a great view of Himlung Himal and other snow peaks in the region. This section of the climbing trip descends down at first at Kyang passing through a narrow valley on the trail. Kyang offer us the sites like the ruined forts of the Khampa settlement. Jhunam, Chyakhu and Kyang are such places where Khampa refugees from Tibet once captured and lived illegally. Witnessing these places, our journey continues till to reach Meta. The journey will be accompanied by the very spectacular view of Annapurna II and Lamjung Himal. Initially, the trek of the day for a while goes through steep downward trail and walks through a pine forest passing many small streams and charming water fall near the Dharmashala on the trail. Our peak climbing trip at this section also comes across many suspension bridges before reaching at Koto. The first part of today’s journey passes through the small villages till to reach at Timang in the company of Pine forest on the trail. While moving forth, the trek will be accompanied with a short glimpse of Mount Manaslu and other snowy peaks. The next section of the trail steeply drops down to Danque from where we follow the level trail till to reach at Dharapani. This section of the climbing trip walking along the Marsyangdi River crosses and re-crosses suspension bridges over the Marsyangdi River. While continuing the trek, our journey at first arrives at Kotro and then reaches at the Tal village. From Tal, the next section of the trail while following through the rocky track at first drops down to the river and again climbs up through a dense forest area to reach at Chyamje. Passing through Chyamje, we will eventually reach at Jagat Village. In the morning after loading all the equipments, the bus journey passes alongside the Marsyangdi river which will results into Bsesi Sahar. Then the undulating road again passes through the cultivated terraces, forest, and green hills. The bus drive will be accompanied by the sights of Manaslu, Ganesh, and the Annapuran Himalayan range in the north distance. Eventually the scenic drive stops in Kathmandu where we will be transferred at our Hotel. It was the third time now since 2013 that I had company Langtang Ri organise a private expedition and once again their services were extraordinary! 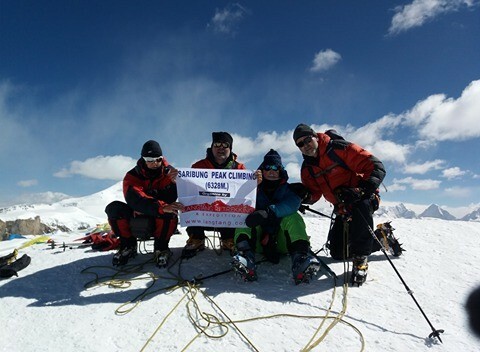 This time we managed to achieve the very first official ascent of Dhechyang Khang (6019 m) and we also successfully climbed Saribung Peak (6328 m). Both peaks are listed as expedition goals by the Ministry of Tourism in Nepal. Organisation of our trip was excellent, all staff members were extremely supportive and my friend Lawang Tamang did an exceptionally good job as Sirdar and mountain guide again. Langtang Ri Trekking & Expedition also offered the best value for money, as we know from the competitive bidding which we did for our expedition end of last year. Therefore I really can recommend Langtang Ri for any kind of trekking and expedition activities in Nepal. Everything was excellent organised. Our guide was extremely friendly and coordinated every change in programm to our wishes. We had a great time during our trip, managed all the Saribung pass with 6000m and Saribung Peak with 6.340m. Pamfa organised my foto camera to come to Mustang. This was really great! She also hosted a dinner for us at her home which was very special for us! Thank you for your hospitality! I really can recommend Pamfa's agency and I am sure it was not my last trip with Langtang RI! he experience was majestic. 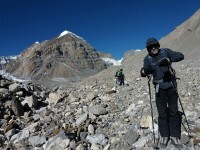 I am really satisfied with the services provided by Langtang Ri Trekking and Expedition. Climbing the peak was as hard as it could possibly be but the fight was worth it. I am very thankful to Mr. Pasang Dawa Sherpa for being such a friendly guide and making the trip a memory. We climbed during the month of october. The weather was great, the place was beautiful and the food was delicious. I cant wait to be back in the Himalayas again. Looking forward to meet again. Thanks a bunch!